I love a good pot pie. This dish always hits the spot on a cold, wintry day. 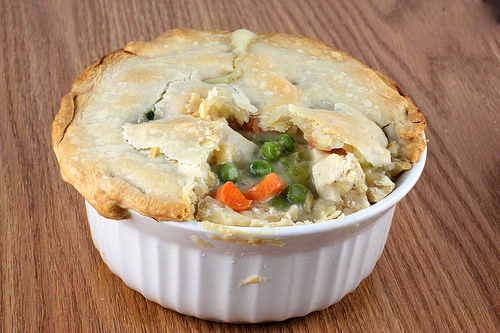 Take a look at this Turkey Pot Pie! It is extremely easy, affordable, and feeds up to four people! Make sure to set aside one pound of turkey on Thanksgiving day for this recipe. To save on time, you can purchase pre-chopped veggies in the frozen food section. I use them all the time when I cook! For the complete list of ingredients and directions on how to make this delicious meal, visit BlogChef.